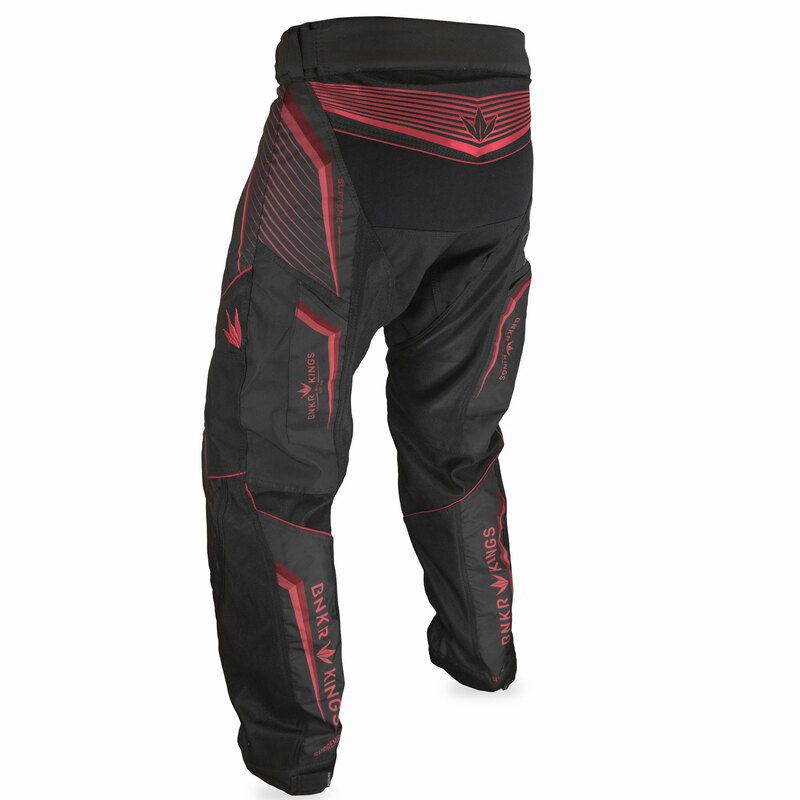 The Bunker Kings Supreme paintball pants version 2 in Red are constructed with an Athletic Fit designed to fit closely to your body, yet remain loose enough for airflow and movement. Finally a pair of paintball pants designed to showcase your athletic talent no matter the terrain or weather. DURABLE - Quadruple stitched seams in critical areas of the knee pad completely eliminate the chances of tearing in the knees. Every other area of the paint is constructed with double stitch ballistic nylon thread to increase overall strength and provide a worry-free experience. 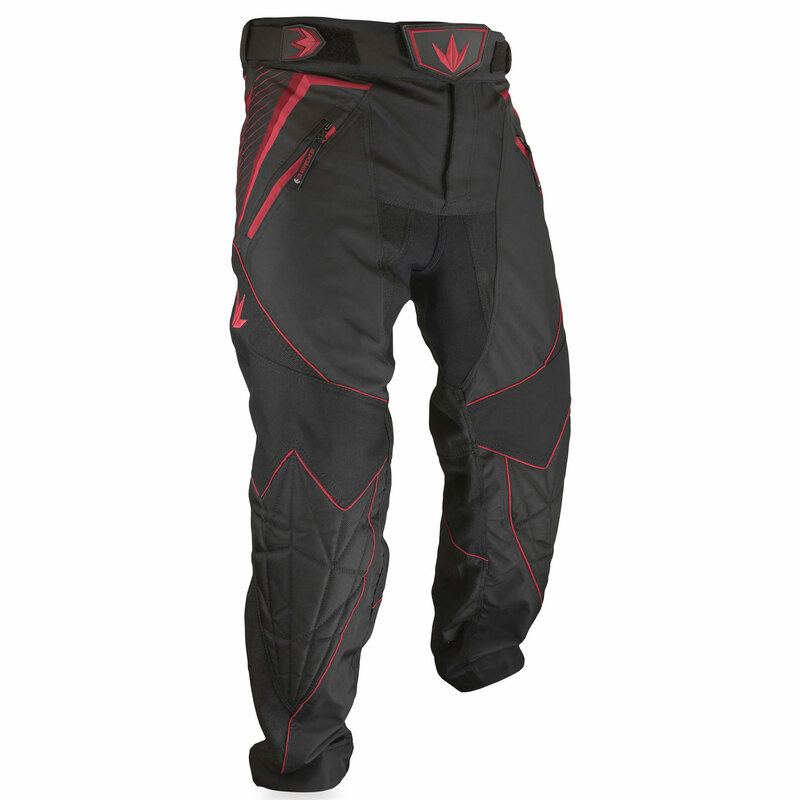 INTEGRATED PADDING - Padding has been built into the knees to lessen the impact of intense game play. The Supreme Pant also offers a removable crotch pad to further advance your custom fit. Remove the pad for more room or keep it in for total protection. ADJUSTABLE WAIST - Dual Elastic bands along the waist line provide an easy-to-adjust method of securing the pant to your body for the perfect fit . The adjustable waist allows for up to 5-inches of variation within each size. VELCRO FLY - A Velcro latch system has been developed in order to secure the crotch area of your pant while eliminating troublesome zippers or plastic buckles. By using velcro, the Supreme Pant has proven superior in comfort and reliability. SQUEEGEE HOLSTERS - Slide your barrel squeegees into a convenient pocket on either side of the pant for ease of access on and off the field. 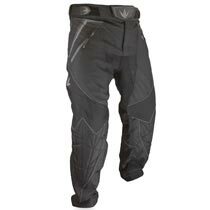 These pockets are located on the back of the thigh, as to not interfere with sliding. ELASTIC FLEX ZONES - The Supreme Pant utilizes elastic flex zones in various locations for optimized mobility. Flex zones also offer the user a more comfortable fit and the necessary 'give' in order to provide stability during the rigors of Paintball. 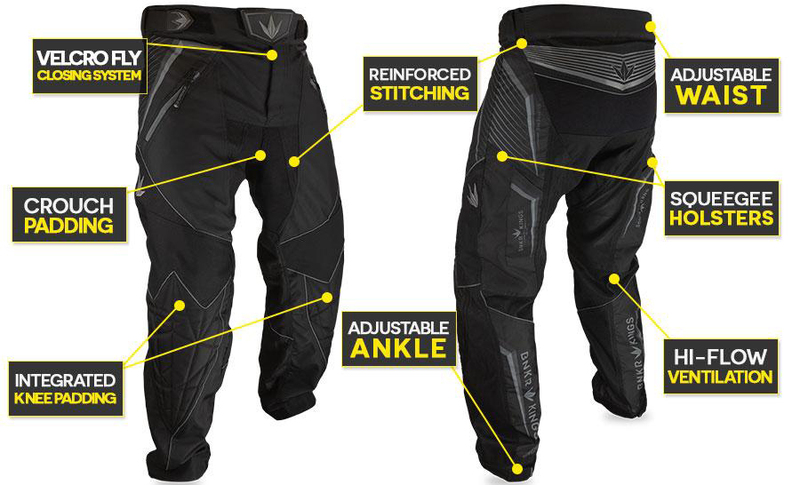 ADJUSTABLE ANKLES - Ankle adjusters, which operate similarly to the Supreme Pant waist adjusters, have been utilized in order to further the comfort and fit of the pant. 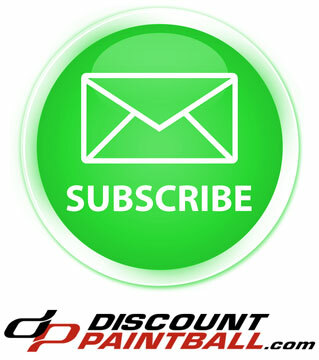 With these you will be able to taper the lower leg to your desired preference. 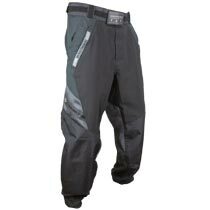 Bunkerkings Supreme pants V2 come with a 1-year manufacturers warranty against defects in materials or workmanship. Warranty does not cover damages resulting from abuse, modification, or extended wear.